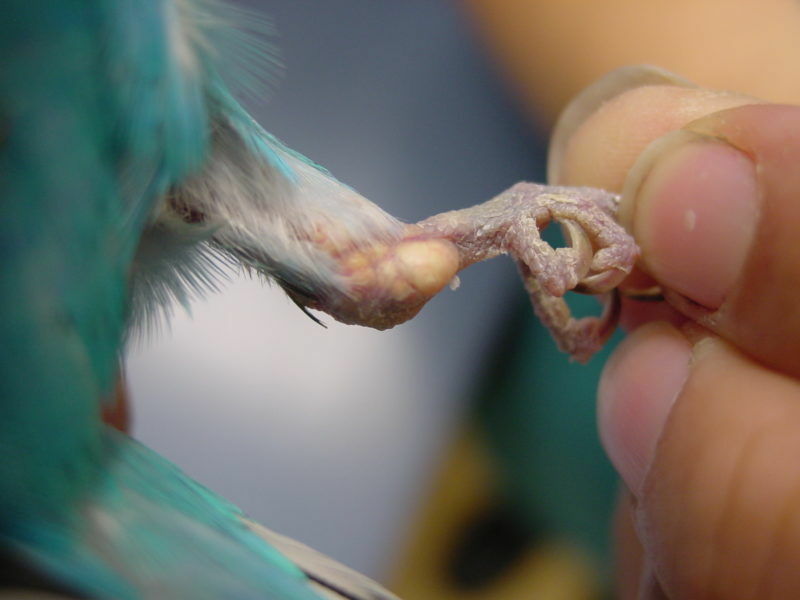 A budgie suffering from non-specific kidney disease has developed secondary gout deposits in the joints of the lower leg and foot. If you bird truly has gout, please consult with your veterinarian about treatment. If your veterinarian is not familiar with the diagnosis and treatment of gout and kidney disease, then please ak him or her to consult with a bird specialist veterinarian.